Karachi, in many ways, is quite an anomaly. A dense, messy, frighteningly chaotic but ceaselessly functional metropolis, Karachi as a living entity has not been able to keep up with its artists. Partly because of structural limitations – security is an obstacle to more live shows, a circumstance endemic to Pakistan as a whole – but partly it’s also because despite the city’s risks on all sorts of business ventures, nothing’s quite yet cropped up to cater for the city’s artists and musicians. It took, ultimately, Goethe Institut’s intervention to get Forever South: Karachi Bound off the ground. Held at the Commune Artist’s Colony (a warehouse that also hosted FXS’s first ever event, Revival 2013), the event flew in DJs from Germany and Sri Lanka to share the stage with some of FXS’ own, all the while mired in and surrounded by some of Karachi’s greatest audio-visual and graffiti artists. 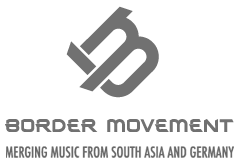 FXS: Karachi Bound, if not all FXS shows, have always looked to stand apart from the sort of staid, lounge ‘raves’ that take place in cities like Karachi and Lahore every now and then, looking to focus less on the music and more on the events’ social implications. These raves too peer into your standard, trite EDM fare, bellowing out the same tired formulaic electronic music. It’s easy to fall into these electronic music tropes – to pay more attention to drops and climaxes than building narratives or structures, something that permeates most other genres. That difficulty perhaps arises primarily with electronic music’s relationship with raves, or the oft misconstrued idea that it isn’t really electronic music unless you can dance to it. Whether it’s pure electronic music, or hyphenated variants like electro-pop etc, it’s always hard to dissociate the music from the idea that perhaps it isn’t supposed to make you swagger and sway. Though Dynoman’s last release, the incredible Naubahar, seemed to almost consciously obviate these norms, it still had enough climaxes and drops to fascinate and satisfy any listener. It was still ‘electronic’ music the way the world knew it. It also set the tone that Travels to Janaicah: Cheebay’s Imagination exploits masterfully. 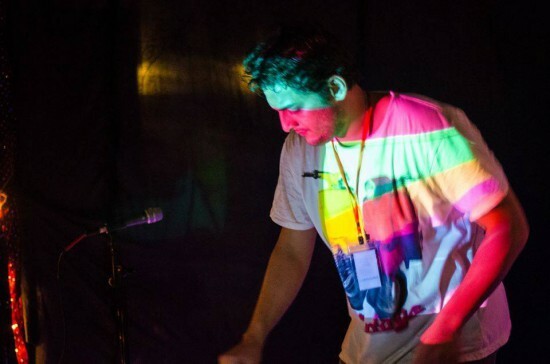 Dynoman’s music has always defied categorization – it’s never been music for the EDM crowd, primarily because of Dynoman’s flirtations with the more schizophrenic tendencies previously present in IDM. Travels to Janaicah, then, comes across less as EDM and more electronica – these are by their very essence narrative pieces; songs, rather than bangers. Though headphone listening would be too trite a term or a recommendation for the songs on Travels to Janaicah, it’s still pertinent. Take ‘Moon Struck (For You)’, with its angular guitars borrowed straight from a reimagined, diluted post-punk, washed over by placid pads and perc heavy drums. At no point does it work in a drop, or a crescendo, or anything similar to the peaks and troughs associated with electronic music. It’s relaxed, languid, and ultimately structured more via a verse-chorus-verse mentality than anything else, albeit far less banal. Travels to Janaicah still has what are now Dynoman’s trademarks: vocals run through a dozen semi-tones and treated completely differently from the standard twist and screw R&B prevalent everywhere; drums that seem frigid and strictly quantized but still have ridiculous levels of groove; an inordinate amount of synths per song, all running off into freakish territory; and ultimately, the realization that the kitchen sink is being thrown straight at your head. ‘Yeden’ is a particular highlight, with its frantic arps, detuned sub-bass and oddly spacetastic, icy metal pecs – all offset by initially comforting vocal samples that descend ultimately into a cacophony of chatter. It’s a track that’s subdued in its structure, all subtlety rather than bombast. ‘Geese Geese’ is another brilliant track that prescribes to the same idea. Shuffled hi-hats make their way amidst a plethora of tablas and pitched synths, all fighting for the same space but never really overpowering each other. The EP was released with a tremendously realized remix of ‘Moon Struck (For You)’ by FXS co-founder, Rudoh. Filled to the brim with jaunty percussion, reversed synths and the sort of head-bobbing groove sensibilities only drummers possess. Rudoh’s rework is as masterful as it is ultimately original, stripping away any vestiges of Dynoman’s sound and completely revamping it in his own likeness. 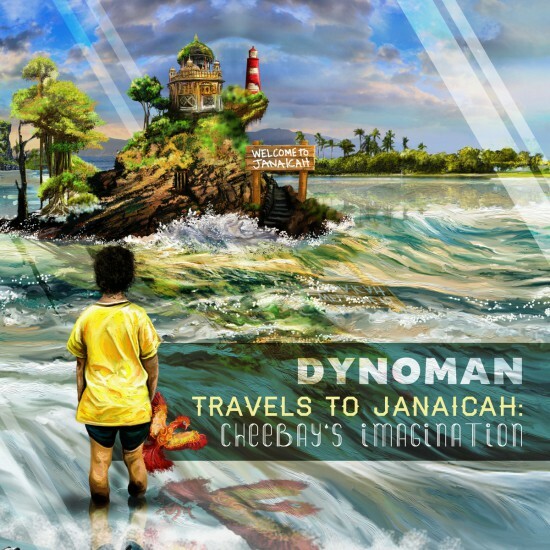 Dynoman’s music has always been sonically unique, and even when he flirted with Bollywood samples on Naubahar, it never seemed like schtick. It’s that same sincerity which comes across in Travels to Janaicah and lends Dynoman’s experiments the purpose they need. At times one can tell that this is new territory being charted in Dynoman’s own head just as simultaneously as it’s being recorded or arranged in Ableton Live, and that’s quite interesting to see translated. As much as we all cater to electronic music and its myriad, crazy sub-genres, it’s often the variants in texture and rhythm that determine the music outside of broad limitations (e.g. house and techno relying heavily on 4×4). Dynoman, however, is looking to move outside of these two prior mediums, and looking backwards instead, to focus less on catering to production clichés and more to actual songwriting. The fact that he’s lined up more in the Travels to Janaicah series only bodes well for the rest of us.